I will buy any turkish record from the 70s for a dollar or less. And I bought a bunch of stinkers the other day this way but there was a couple decent ones. This one is my favourite from the bunch. It is Turkish singer Ayla Algan singing the sufi poetry of Yunus Emre. The record was produced by the Ministry of Tourism and Information of Turkey as a celebration of the 650th anniversary of the death of Emre. According to the extensive liner notes in three languages (english, french and german) Emre was a contemporary of Rumi. Emre, a peasant, however, instead of writing in Persian, the literary language of the time wrote his devotional poetry in Turkish. Algan is accompanied by Cemil Demirspipahi playing the tamboura, who plays some pretty sweet solos. The interesting thing is that all the songs are translations from Turkish. Side one is all in French except for the last track in German and side two is all in English except for the final track in Turkish. A dreamworld of puppets and papier mache. It’s hard to resist buying records that have photos of the singer with boss 70s moustache and wardrobe superimposed over a nice looking railroad trestle. 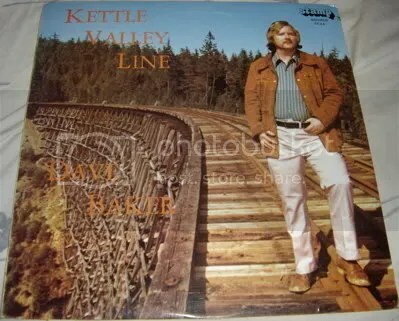 The first album by Dave Baker entitled Kettle Valley Line came out in 1973 on Stamp Records. Baker’s from B.C. and is still active today putting out music. The record is kind of country but a little better than your average especially since they are all original compositions so it kind of has a singer songwriter vibe too. There are all sorts of topical songs about BC like Vancouver Island, West Coast Logger Saga and the title track. The liner notes claim that: “It is the ambition of every songwriter to put into words and music his emotions, his experiences and his way of life. DAVID EDMUND BAKER, a native of Vancouver Island, reveals, in this his first album, apersonal sensitivity towards life itslef yet at the same time captures the spirit of the West Coast.” Over the course of his career he released three vinyl records and had three singles chart nationally. He is recently retired from his job as an executive at a pulp and paper engineering consultant. Baker currently lives in Maple Ridge where Marti Shannon (also featured on this site) was residing before she died earlier this year. 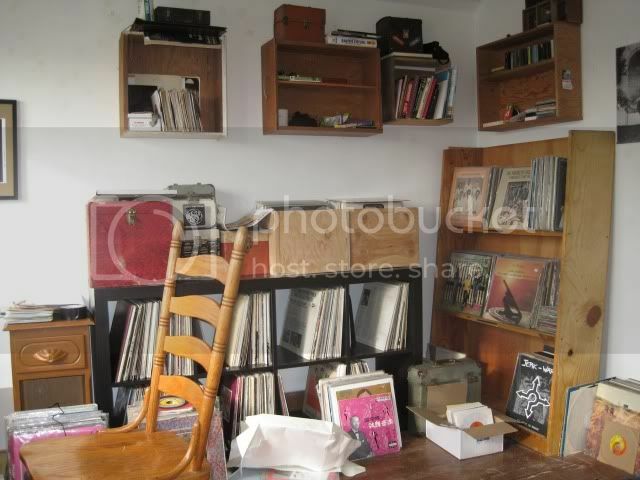 You are currently browsing the Backroom blog archives for September, 2008.